Welcome! AsianBondsOnline is a one-stop source of information on bond markets in emerging East Asia. * Government bond yield changes are expressed in basis points. * Exchange rate changes are expressed as a percentage change. For more historical data, please visit our Data Portal page. The Singapore bond market has become one of the most developed open capital markets in Asia with over US$221 billion in total local currency bonds outstanding with an additional US$53 billion of bonds outstanding. 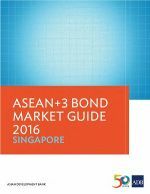 The Singapore Bond Market Guide is an outcome of the support and contributions of ASEAN+3 Bond Market Forum members and experts, particularly from Singapore, while the ASEAN+3 Bond Market Guide as a whole is a comprehensive explanation of the region�s bond markets. This report should be recognized as a collective good to support bond market development among ASEAN+3 members. The local currency (LCY) bond market of Singapore expanded 1.2% quarter-on-quarter and 11.0% year-on-year in the fourth quarter of 2018, reaching SGD403 billion (USD295 billion) on the back of both increased LCY government and corporate bonds. There was a total of SGD244 billion in LCY government bonds outstanding. LCY corporate bond issuances dropped 35.9% quarter-on-quarter, following a rebound in issuances in the previous quarter when long-term Singapore interest rates declined. The largest corporate bond issuance during the quarter came from the Land Transport Authority. How to fund rising fiscal spending? AsianBondsOnline 2018 © Asian Development Bank. All Rights Reserved. Reproduction in whole or in part without permission is prohibited. ADB Headquarters: 6 ADB Avenue, Mandaluyong City 1550, Metro Manila, Philippines.